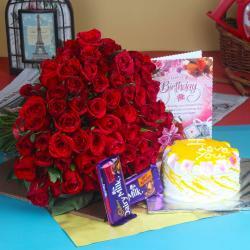 Product Consist : 50 Red Roses Hand Tied Bunch, 1/2 Kg Eggless Pineapple Cake, 500 Gms Assorted Dryfruit (Weight : 500 Gms), 10 Assorted Chocolate Bars along with Birthday Greeting Card. Expressing great birthday wishes in a special convenient way by sending Eggless Birthday Cake Hamper for friends or family members. 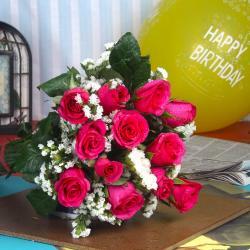 Roses hamper can be gifted for plentiful reasons and each has its own meanings as well & special thing is with one mouse click you can order for all occasions. 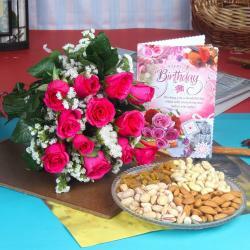 Sweet way to make your friend or family member smile at silly tiny gifts and delighted feelings on occasions like Valentine's Day, Birthday, Anniversary and Many more. 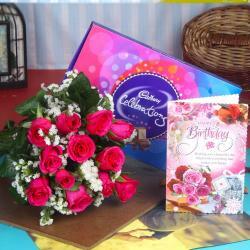 Giftacrossindia.com brings to you this awesome gift items, which is all set to make your special someone feel more special. 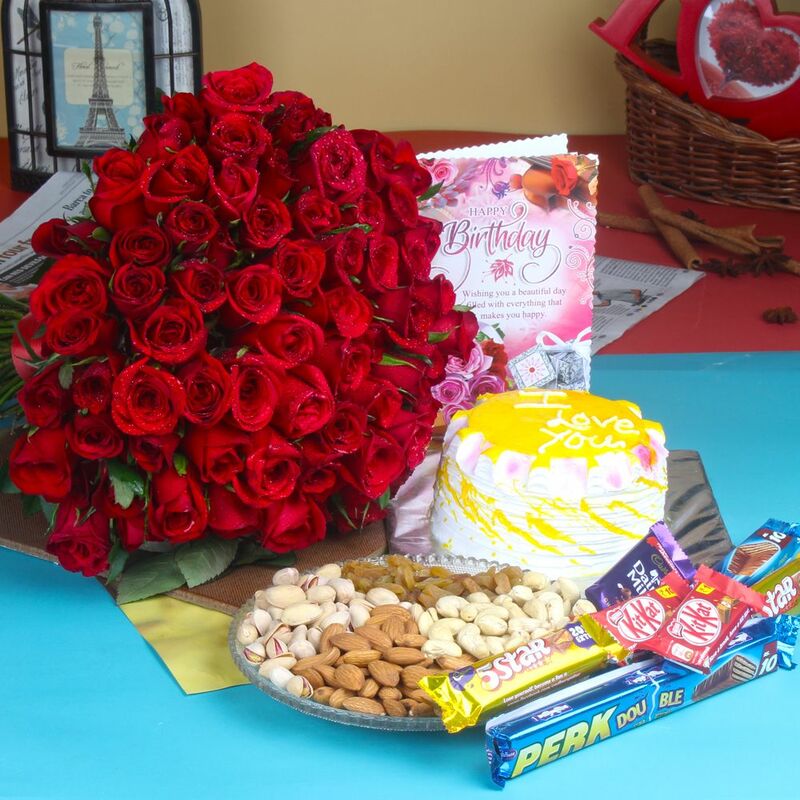 Same Day Delivery Product Includes : 50 Red Roses Hand Tied Bunch, 1/2 Kg Eggless Pineapple Cake, 500 Gms Assorted Dry fruit (Weight : 500 Gms), 10 Assorted Chocolate Bars along with Birthday Greeting Card.